Thank you Klaas, and Janet, just give it up. It is no longer making sense, if it ever did. Anyone know why initials are being posted after some of Janet's posts? We all know that will never happen. ORANJESTAD/LIMA — The Inter-American Court for human rights will study the investigation and the trail of Joran van der Sloot. Lawyer Máximo Altez stated before the Peruvian newspaper El Commercio that the Court has accepted his document with the request for revision. The request was submitted months ago. According to Joran’s lawyer, his client’s right to a fair trial was violated because he wasn’t given an interpreter and because of his illegal extradition from Chili to Peru. “The Court has accepted the document. I’m certain we will win”, the lawyer said yesterday. Joran’s lawyer had already submitted a ‘special request for revision’ earlier on when he requested an entirely new trial for the murder and robbery of Stephany Flores. According to Joran, his lawyer at the time, José Jiménez, had misled him. This lawyer namely advised Joran to agree with the charge from Justice and to declare himself guilty. In exchange he would receive a maximum sentence of 15 years instead of the demanded 30 years. Joran had subsequently declared he was guilty but the court sentenced him to 28 years imprisonment. Jiménez always denied the accusations and thinks his former client knew exactly where he stood when he declared himself guilty. Expectations are that it will be the end of the year before this appeal comes up in court. The lawyer of the Flores family, Stephany’s next of kin, stated the appeal doesn’t stand a chance and consider the case closed. In the land of Hans Mos, Taco Stein, and Peter De Witte. Hope they can solve this crime! At least they are not trying to pass it off as a double suicide. This is about a murder case in Curacao. The murderer, James Murray (born in Aruba) has been serving his life sentence in Aruba at KIA; reportedly because of problems from other inmates in the prison in Curacao. James Murray's appeal was based on a new law that could have made him eligible for an early release. I thought it was interesting because it does show that they can and do lock some offenders up for life...it's just not often from everything I've seen over the years. With so many injustices, just needed to give a shout out for Justice in this case! WILLEMSTAD - James Clifton Murray is not free. That's the Joint Court decided this morning. The life of the murderer punished 6-year Darly Lai seized the opportunity of the new Civil Code from Curacao to be eligible for early release. He's since 1979 his sentence. Vain. The court considers the risk of recurrence by Murray still present. According to psychologists is already at his sentencing noted that Murray has a severe personality disorder. The expert reports which are now made clear by the Court that important aspects of his deranged karkaterstructuur, as his antisocial personality, poor conscience development and lack of empathy are still present. Treatment during the 33 years imprisonment not occurred. This is partly meant that Murray never spoken - as is usual during treatment - which circumstances have brought him to his there. So on that basis he understand how he could have given such conditions may prevent or cope. Also at the hearing, according to court Murray was no evidence that he himself is responsible enough to give account of the seriousness and the absurdity of the murder and how he was able to do so proceed. The Court concludes that the probability Murray after release still in repetition will fall so large that the protection of society be a primary consideration. The good behavior of Murray in the final years of his detention blames the Court in the structured setting in which circumstances it was then brought up his act now missing. Outside the prison, as the court deems that conditions there. The risk of recurrence is thus considered too great. The Court also has the [position of the victims included in his judgment. Especially the fact that Murray relatives after his act has threatened them to do something for the court weighs heavy. It is partly for this reason that the Court considers that the life sentence is still a reasonable purpose: protection of society and of the families of Darly Lai. The court is aware of the fact that the considerations now lead to a rejection of the request by Murray at liberty to be made will remain valid in the future. Only treatment of Murray and victim counseling of relatives would change this can bring. because after 33 years captivity still not treated. James Murray, now sixty, killed on 23 May 1979 the six Darly Lai revenge on her aunt where he had a friendly relationship with maintained. Aunt who had forbidden him to have contact with the family after she had learned that he had been tried for sexual assault of a young girl. Murray swore according to witness statements revenge and "her dearest will to tackle." The small Darly was not long afterwards found dead on the plain of Hato. She was with several stab wounds to death. On May 23rd 1979, a 6 years old sweet an innocent girl “Darley Lai” was brutally assaulted and murdered by a close family friend “James Murray”; although, this cold-blooded killer was then convicted to a maximum sentence of life in prison, a new Curaco Criminal Code (Nieuw Wetboek van Strafrecht Curaçao) has been introduced on November 15, 2011, which stipulates in Article 1:30 that a person sentenced to Life in Prison and after serving 20 years of its sentence has the right to appeal the judgment and have the Superior Court of Justice determine if the convicted person could regain its conditional freedom. Given that James Murray has already served more than 20 years of its sentence (without displaying any sign of remorse), he now qualifies to have his Life Sentence revoke by the Superior Court of Justice and in this way regain his freedom. A criminal like Murray can never be release free given that in the past he has threaten the grieving family, has assaulted several inmates and has also been clinically diagnosed as a psychopath due to his lack of remorse, and due to his disregard for the rights of others (in prison and on the streets) and for his indifference to the rules of society. In other words, if released from prison, a high probability exists that James Murray can commit a similar brutal crime in the future. 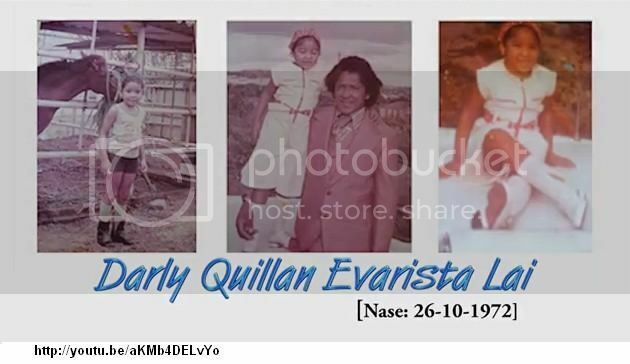 Please sign this online petition and join us in demanding that James Murray serves his Life Sentence as originally convicted and help us keep our streets and children safe…..
::justice2NJ:: for Darly Quillan Evarista Lai! (Joran.TV) - On the opening day of his trial for the murder of Stephany Flores Ramirez, Joran van der Sloot asked for more time to, as he put it, "reflect" on what plea he will enter. There was much speculation earlier, later confirmed by his attorney, that the plan was for the Dutch national from Aruba to plead guilty to all charges. However, van der Sloot, looking tired and giving the impression of being indifferent and bored by the proceedings before the three judge panel, requested more time because he wanted to give "a sincere confession" and because he disagreed with some of the charges prosecutors outlined against him. 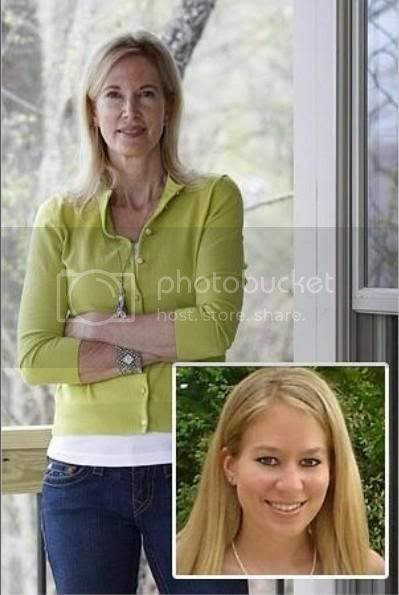 The Dutch national was considered the prime suspect in the case of Alabama teenager Natalee Holloway, who vanished in 2005 while on a graduation trip to the Caribbean island of Aruba. She was last seen leaving a nightclub with van der Sloot and two other men. Van der Sloot was arrested twice but never charged in connection with Holloway's disappearance, which is still unsolved. He now stands accused of killing Flores in his Lima hotel room in May 2010. Police say he took money and bank cards from her wallet and fled to Chile, where he was arrested a few days later. Van der Sloot faces a sentence of up to 30 years in prison. Flores' family later tried -- unsuccessfully -- to convince three judges from the superior court of Lima to impose an even more serious slate of charges that could have included a life sentence. The victim's family, including her father, Ricardo Flores, had pushed for stiffer charges and said that van der Sloot hasn't looked "remorseful" in court appearances. Besides the Flores murder trial, van der Sloot also faces extradition to the United States. In June 2010, a federal grand jury in Alabama indicted him on charges of wire fraud and extortion after allegations surfaced that he tried to extort $250,000 from Holloway's mother. He was given a total of $25,000, and authorities believe he used that money to travel to Peru and participate in a poker tournament, where he met Flores. Holloway's father told HLN's "Nancy Grace" show on Friday night that he felt van der Sloot appeared intent on trying to "cause ... issues and problems" during his court appearance. The father said he that believed the Dutch national seemed to be trying to manipulate the Peruvian system, saying he felt he'd done the same in court appearances in Aruba surrounding his daughter's disappearance. "He's done this many times before," Dave Holloway said. "I think this was all planned out." ‘These two people probably had to hang their wings up at night. That's how beautiful they were,’ says stunned friend. Police have nabbed a suspect in the gruesome murder of a wealthy South Carolina couple found dead in their St. Maarten home. The slashed bodies of Michael and Thelma King were found Friday at the couple's beachfront condominium on the small Dutch Caribbean territory. Michael and Thelma, both in their 50s, suffered fatal stab wounds, Chief Prosecutor Hans Mos said. Thelma was found tied to a chair, while her husband was found on the floor, partially lying on an overturned chair. The male suspect was arrested before dawn Sunday, said police spokesman Ricardo Henson, adding that authorities will release a statement "as soon as more information can be divulged." A motive for the brutal slayings remains unclear. St. Maarten police on Sunday arrested a suspect in the slayings of a South Carolina couple whose slashed bodies were found in their beachfront condominium on the tiny Dutch Caribbean territory. Chief Prosecutor Hans Mos said both Americans appeared to have suffered fatal stab wounds. The link above is to the thread about the murders of Michael and Thelma King. The guy they've arrested is a Jamaican Security Guard from what I've read, (imagine that). Just hope they've got the person that committed this senseless brutal crime, and they aren't still running around free and destroying evidence! Natalee's case and Han Mos' participation in it has come up a lot in the comments to articles about this case. And as would be expected by anyone that followed Natalee's case, they aren't being very kind or trusting of Hans Mos.